Is it the Right Small Breed Dog for You? Are you in the market for a dog nicknamed the “barkless” dog? 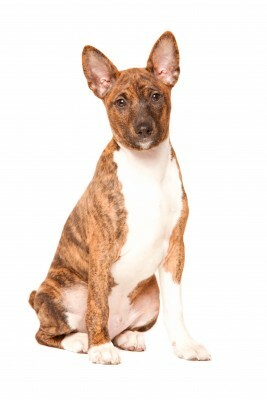 If so, the Basenji might be the perfect dog for you. This is one of the very few breeds in the entire world that do not bark. They only howl when they are excited or when they are hunting. They were originally bred as a hunting dog in Central Africa and are still used by the pygmies in Central Africa today to hunt lions. Because of this, they are considered very tough dogs. 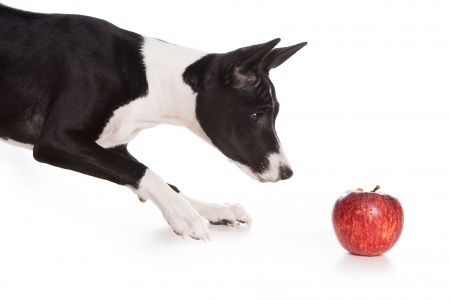 Unlike some breeds of dogs, they hunt with their sight and their smell instead of using just one sense. This also makes them extremely intelligent and very stealthy, as well. They have a very prominent curled and coiled tail, a wrinkled forehead, and large, erect ears. 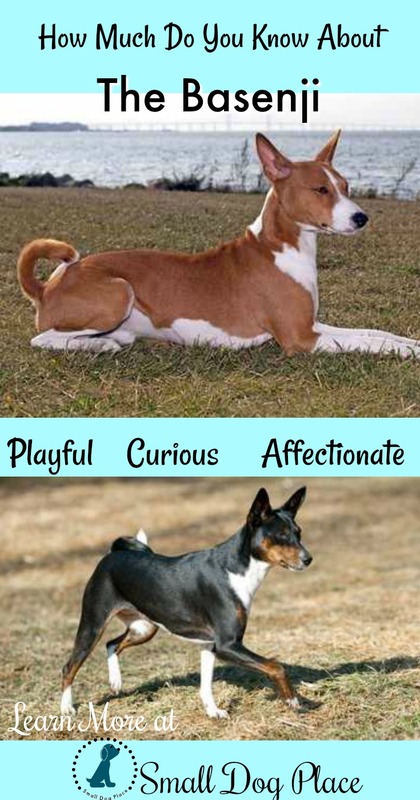 These are just a few of the many different features that make up the Basenji. Another unique characteristic is that they are strangely cat-like. For example, they like to groom and primp themselves. If you are looking for a good family dog that does not bark, then you may want to look into adopting one into your family. Good with Children: They can work very well with children if raised around them and socialized to small children as a puppy. 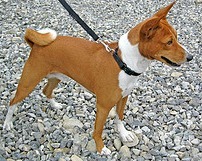 An adult Basenji that is unfamiliar with children may not be too fond of children and could snap at them. It is essential to teach young children how to touch and handle this breed and a child should never try to take away their food or bother a Basenji while it is eating. Good with Other Pets: If raised with other pets, they will be fine with them. The Basenji needs to recognize any other household pets as family, or there may be problems. Any animal that the dog sees outside running around is fair game for a Basenji. The Basenji is arguably the oldest breed of dog, having made an appearance in Egyptian hieroglyphs and art. They were brought up the Nile from Central Africa as gifts for the Pharaohs. In Africa, the breed was used to help guard and guide in the forests, and warn natives against dangerous animals that might be approaching. They also were used for the receiving and pointing of small game and driving the game into nets. The first litter was born and raised to maturity in the United States in 1941. The AKC first recognized the breed in 1944. 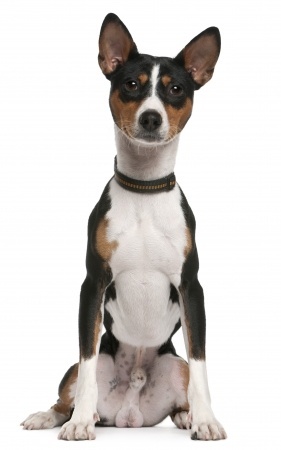 Although the Basenji doesn’t bark, they can be known to bite. They are curious, alert, and energetic, but they can be aloof with strangers. Since they do have a couple cat-like characteristics, they seem to become attached to one or two members of the family they belong to, which makes them excellent for individuals, couples or small families. These furry friends are very curious and like to climb, which means that they can somewhat easily climb over chain link fences, which could pose as a problem depending on the owner’s location. They are excellent escape artists, so for this reason, everyone in the family should be careful about leaving doors or gates open. They also will spend some time on their hind legs and lean against walls, furniture, counters, etc. if they are curious about something that is happening. Due to their background, they also have a strong prey drive and could cause problems while walking them because if they catch sight of a squirrel or stray cat, they will likely try and pursue it. They are extraordinarily intelligent; however, they are not easy to train. 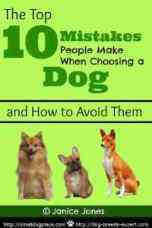 In fact, according to the book, The Intelligence of Dogs: A Guide to the Thoughts, Emotions, and Inner Lives of Our Canine Companions the Basenji is the second least trainable breed of dog. Because the breed survived for thousands of years by being independent thinkers, they see no need to obey humans. The easiest way to go about training is with constant positive reinforcement and many treats. However, they do not respond well to punishment such as yelling or hitting, and they could let off a warning growl if any of those behaviors are demonstrated. In the end, they will pick and choose who and what they obey, so keep this in mind during training. Because of their natural hunting instinct, they prefer to meet strangers on their own and can tend to be very independent and aloof. They need to be socialized at a very young age, and with proper socialization and training, they can be very friendly and welcoming as an adult. However, they shouldn’t be trusted to be alone with small children or other pets. They will get along with other Basenjis, but do not do as well with cats, small animals, fish, etc. These guys love to chew, so make sure they have a lot of toys and bones to chew on, so you don’t end up with a chewed up house or apartment. Most of the problems from this breed of dog are between them and their owner. Many owners think their dog is inactive because they do not bark. 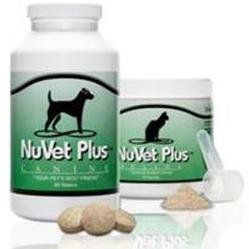 These dogs are extremely active and require moderate to high amounts of daily exercise. They need this daily exercise to help release physical and mental energy and without their physical activity, they can become relentless and anxious. When they play they are very energetic and tireless and can run around the yard for hours. Another problem is that some owners will not take on the role of a leader, and if so, the pup will acknowledge this. If the owner is not confident and firm, the Basenji will try very hard to get its own way and harass the owner. These guys can also become demanding without a proper pack leader. The ideal owner would be one who understands basic canine behaviors and treats the dog accordingly. People who can understand the basic behaviors of them will find the Basenji to be amazingly wonderful pets. This breed is probably not a good choice for a first time dog owner. Due to their thin and short coat, they have very minimal grooming. They don’t shed often and don’t have that usual “dog” smell, which makes them perfect for people who don’t want to have to clean up their hair from their couches, rugs, and the rest of their house. This also makes them ideal for people with allergies. Like cats, they like to groom themselves most of the time. Other than the regular baths, nail clipping, teeth brushing, and regular maintenance, this breed of dog is very easy to groom and maintain. Read More About Grooming the Short-Haired Dog. In the 1980s, they were almost wiped out in the United States by Fanconi syndrome, which is a fatal genetic kidney disease. This disease was so prevalent in the U.S. that breeders traveled to the Congo to find and bring back more dogs to help diversify the gene pool. It is necessary for you to buy your pup from a reputable breeder to try to eliminate the chances of getting a dog with Fanconi syndrome. Symptoms include, but are not limited to excessive drinking, excessive urination, and glucose in the urine, which is often misdiagnosed as diabetes. If the dog exhibits any of these symptoms, they should go to the vets as soon as possible as this is considered a medical emergency. Progressive Retinal Atrophy: A genetic condition common in many breeds that affects the retina of the eye which eventually leads to blindness. Read more. Hip Dysplasia: A condition that affects many different dog breeds, where the hip joint is not formed properly, leading to osteoarthritis and lameness. Read more. Umbilical Hernia: A common condition in many breeds caused either by genetics or injury. It is a rupture where the umbilicus is located resulting in internal organs, intestines or fatty tissue squeeze through. Read more. Colobom: An inherited eye problem seen in some breeds, where the eye tissue is not completely formed at birth and shows up as a hole or split in the iris of the eye. Persistent Pupillary Membrane (PPM): This condition has been seen in several breeds of dogs including the Basenji. The blood vessels that supply nutrients to the fetus' eye remain and can be seen after the puppy is born. Depending on the location of these strands, vision can be affected. Immunoproliferative Systemic Intestinal Disease: Also known as diarrheal syndrome, it is similar to inflammatory bowel syndrome in people, where the dog is unable to absorb nutrients from his food.